The following residential sales closed in Janauary 2008. Data is obtained from the local Realtor MLS. After recent improvements, including an IMAX type movie theater, the aquaruim on Island Estates is open after a 6 week hiatus. Other additions are an expanded gift shop, windows on the dolphin pool, and additional exhibits. With a 3-3 split vote, the re-zoning decision will wait. It was standing room only at the 5 hour public hearing yesterday where 100 people had to watch the meeting via video from the 2nd floor of city hall because the main event was at capacity. The huge turnout was due the the "Save Our Shoppes" coalition, opposed to any re-development that would lead to the demise of their stores and restaurants, who chartered a bus to get as many residents as possible to the hearing. The current owner claims to have no interest in tearing down the Shoppes, but is seeking to have the zoning changed to "tourist" which could potentially lead to redevlopment, perhaps even a 100+ plus room hotel or condo tower. This can of worms was opened by a potential buyer who's contract has recently expired, but the city wants it settled and kept the hearing on the agenda - maybe they figure it's only a matter of time before there's another suitor. After 5 hours of citizen oposition, the community develpment board cast a vote of 3-3. On March 3rd the deciding vote will be cast by the 7th member who was not in attendance. The recommendation will then be fowarded to city council. The Coast Guard Auxillary is holding a class for adults and children. Topics include how to read a GPS and nautical charts. The class is 7:30 to 9:30 p.m. Monday and Tuesday at the Clearwater Sailing Center, 1001 Gulf Blvd., Sand Key. The course costs $75. Call 469-8895 or visit a0701101.uscgaux.info. The Mid Florida Regional Stunt Kite Championship will be held on March 8, 2008 at the Sand Key Park. Visit www.sunsetflyers.com for more information. While the rebuilding of the aging Cabana Club is a welcome change to residents, some condo owners are concerned about their view. Most noteably, the owners of the Cabana Club condos. There are 2 condo buildings with 90 units on the property. The proposed hotel building would be constructed to the south, where there is currently a pool and parking lot. Most of the condo owners have givine approval of the projcect, but some fear the new 6 story building will obstruct their view. Back in 2000 a 13 story building was proposed and met with much oposition. The Cabana Club is owned by the Belleview Biltmore hotel, and serves as a beach club for hotel guests, providing a beachfront pool, and gulf front dining at the Cabana Grill restaurant. The structure was deemed unsafe by officials back in 1998. Repairs were done in order to stay open, but it was only a matter of time before a major overhaul would occur. The redevelopment is part of the larger historic preservation of the Belleview Biltmore Hotel in Belleair. 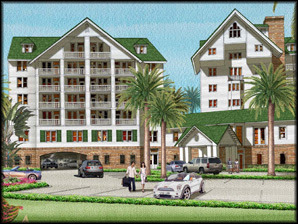 Owners of the Belleview Biltmore have filed for redevelopment with the city of Clearwater for the Cabana Club in Sand Key. The Cabana Club is the "beach club" for Belleview Biltmore hotel guests, providing them with a beach, pool, and dining. The two properties are directly accross bay from each other. The redevlopment would be part of the larger historic preservation of the Belleview Biltmore hotel on the Belleair side of the bay. The current property includes a pool, parking lot, restaurant and 2 condo builidings. Planned changes include demolishing the existing restaurant and replacing it with a new one one story shorter. A 6 story 38 room Victorian boutique hotel with underbuilding parking will be added on the south south side of the existing condos. In addition to the existing shuttle service that transports guests betweent properties, a water taxi would be added (the Biltmore is directly accrss the bay from the Cabana Club), as well as beach cabanas. The 2008 Sand Key Triathalon will be held on September 21. The event will kick off at Sand Key Park. The event includes a 1/3 mile swim, 11 mile bike, and 3.1 mile run through Clearwater Beach. Visit www.sandkeytriathalon for more information. A 37 year old Clearwater Beach resident named Spike is one of 16 competitors to compete. The popular Bravo series starts on March 12 and takes place in Chicago.